Most of us have at our fingertips oodles of area activities we never get around to enjoying. Tourists may even flock from miles around for the sole purpose of exploring the beauty and uniqueness of your “backyard,” and yet you may have never taken the time to do so yourself. 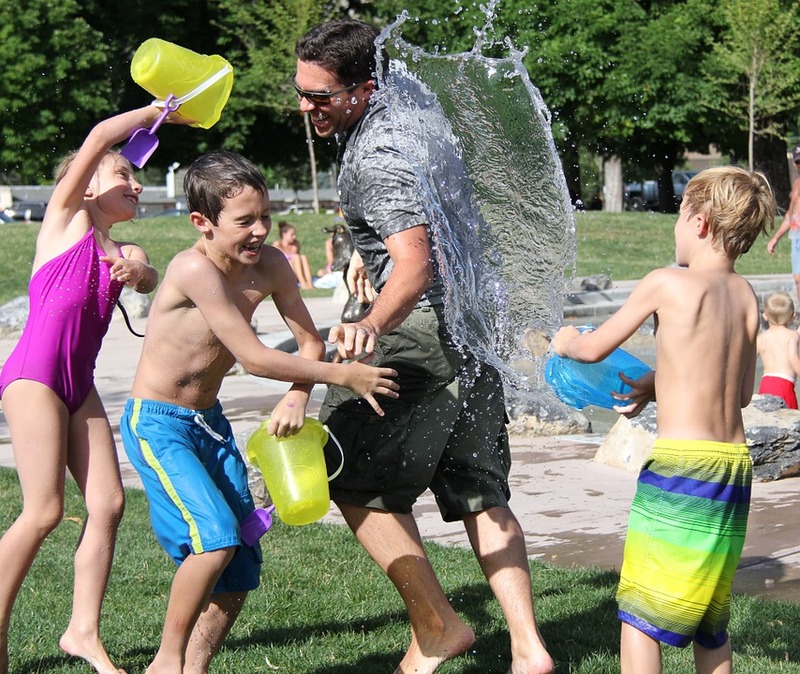 One of the beauties of a staycation is that it gives your family the chance to do exactly that! AND, with all the money you’ll be saving, you may even be able to splurge on a few of the pricier ones. 1. Investigate area’s attractions and local events. 3. Always have a Plan B. Weather, and other circumstances can cause you to have to move activities around. Be flexible with your schedule. 4. Alternate activities. I find the key to planning a successful staycation is alternating between active days and restful days. For example, if we go whitewater rafting one day, the next day we’ll sleep in, take in a movie or have a craft making day, and follow it up with a trip to an ice cream stand. 5. Simplify mealtime! Have easy “help yourself” breakfasts like cereal and yogurt on hand. Put one or two kids in charge of packing a lunch, and keep dinner simple and fun with things like Crock-pot meals, pizza, hot dogs and smores over an open fire, picnics, and cookouts. 6. No cleaning allowed! Well, I can’t say that I follow this rule exactly. I do need some semblance of order, so I assign small, cleaning tasks to each family member during the planning stages of our staycation. That way, by the time I’m showered and dressed, we’re ready to go, and I can relax knowing I have a serene space to return to after a long, fun day. Hey! Mom’s on vacation too! 7. Ditch the cell phone, hand-held electronic devices, and the news. Need I say more? We’ve even been known to turn off the land line! 8. Keep it all-in-the-family. Friends can wait. Your backyard staycation should be all about growing family relationships and building precious memories. Go whitewater rafting or tubing on a river. Roast hot dogs and marshmallows. Take a tour of a local manufacturing facility. Make your own bubble solution and blow bubbles (your family dog will enjoy this too). Attend an outdoor concert or theater production. Go berry picking. Make a pie or pancakes when you get home. Make some ice cream or go to an old-fashioned ice cream stand. Have a tea party or go to a tea room. Have a family game or movie night/pop some popcorn. Play croquet, horseshoes, or other backyard game. Visit area attractions and museums. Invite people over for a bonfire. Go gem mining or shell collecting/organize and label your treasures. Have your kids show their appreciation by making Mom and Dad breakfast in bed or a romantic candlelight dinner. Wishing you fond memories as you embark on your backyard stay-cation! Love this idea! I get so stressed about a big vacation with a 6, 3 years and 5 month old?